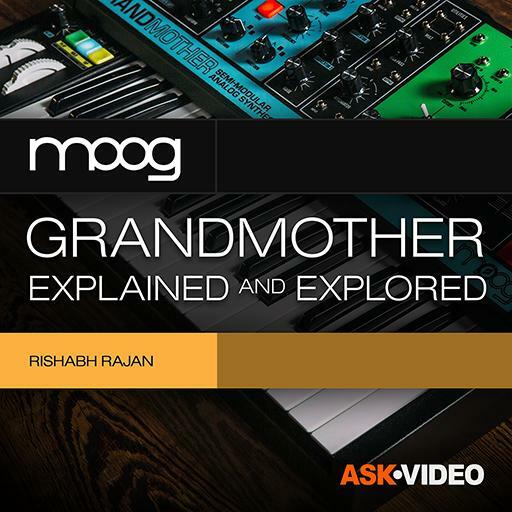 Moog Grandmother 101 - Explained and Explored. What synth category does the Moog Grandmother fall under? How many waveforms does the Modulation LFO have? How many ins/outs are there on the Mult? "Hard Sync" slaves Oscillator 2 to Oscillator 1. True or false? The High Pass Filter has to be patched in to make it work. True or false? How may octave ranges does Oscillator 2 have? The S&H output produces random stepped voltages. True or false? How many Pulse Variations are available on Oscillator 1? Both of the Oscillators have a PWM input patch point. True or false? How many sequencer patterns are there on the Grandmother? There are two variations on the Noise type on the Grandmother. True or false? The LFO cannot be Key tracked. True or false? The KB Vel Out in the ARP/SEQ section outputs the Keyboard Velocity levels as variable voltages. True or false? You must turn on Play in Arpeggiator Mode to make it work. True or false? How many modes does the VCA have? What is the filter type on the filter section? The attenuator is best used to control the range of any modulation voltage. True or false? How many stages does the envelope section have? Linear FM can only be produced on Oscillator 2. True or false? You have answered 0 out of 19 questions.